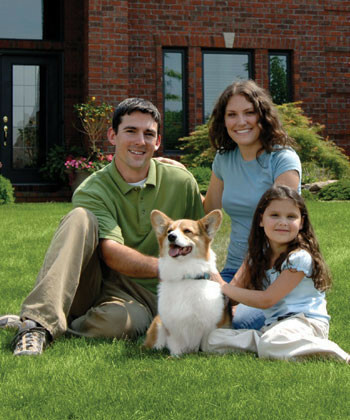 Delivering safety for your dog and peace of mind for you since 1993. 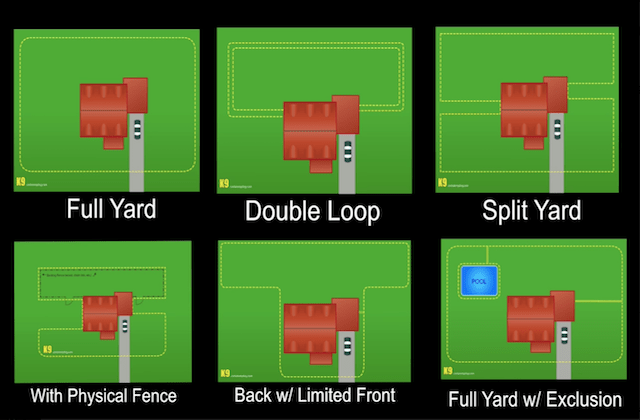 The most popular configuration separates the front yard from the back to give you better control of your dog. 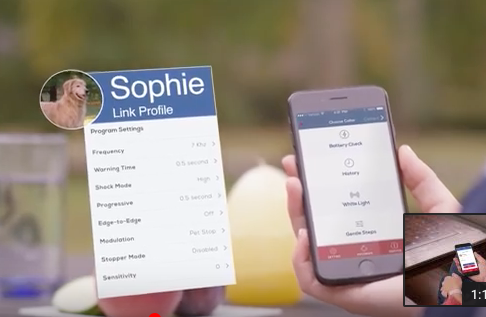 1000's of program options including rising stimulation and delay times. Over 3,500 customers, without a single complaint. Call 913-345-2533 and ask for your FREE Estimate! © 2004 - 2019 Pet DeFence, Inc. All Rights Reserved. 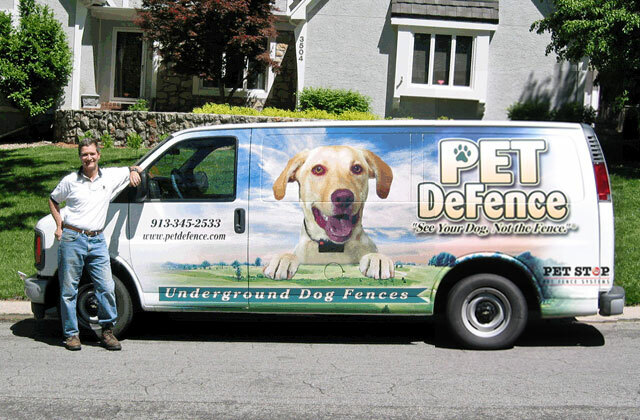 "SafeYard™" is a trademark of Pet DeFence, Inc. All Rights Reserved. 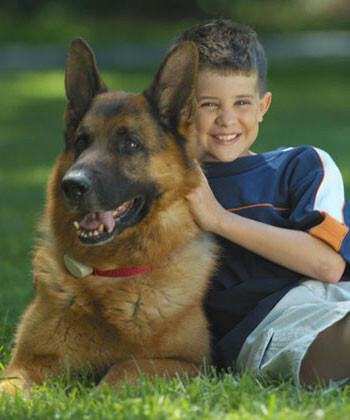 "GentleStart™" is a trademark of PetCare Hidden Fence and Pet DeFence, Inc. All Rights Reserved. 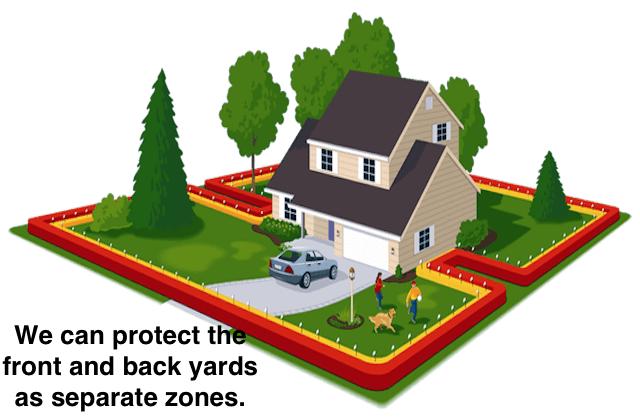 All references to Invisible Fence® or Invisible Fencing® on this site are registered trademarks of Invisible Fence. 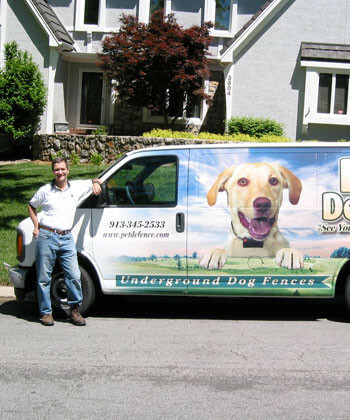 Pet DeFence, Inc. makes no claim to be part of the Invisible Fence®, DogWatch®, PetStop®, DogGuard® or Contain-A-Pet® companies. 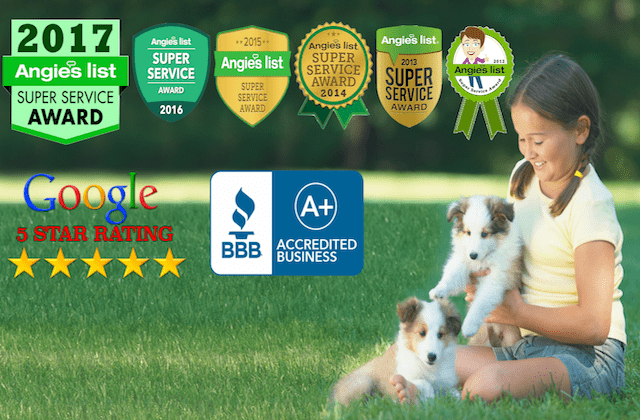 Dog Watch®, Pet Stop®, Dog Guard® PetSafe® and Contain-A-Pet® are registered trademarks of their respective companies. 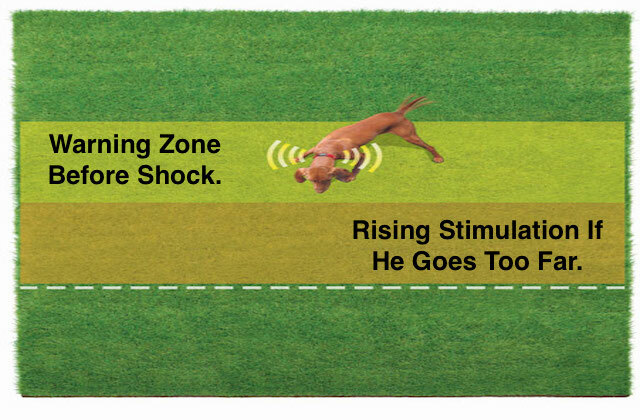 PerfectStart®, SafeDog®, PetSafe®, Innotek®, Invisible Fence®, PetSafe® Professional are registered trademarks of Radio Systems Corp.
Pet Stop, Comfort Contacts, Flash Alert, Safety Stop, Pet Fence Systems, The Best Fence You'll Never See, TriScann, Zapp Alert, UltraElite Receiver, UltraMax Receiver, The Dog Fence People, PowerWizard and RoomWizard are registered trademarks of Perimeter Technologies, Inc.